ROCKFORD, IL – Mixing the sweet, delicate freshness of a spring morning with the high-powered energy of a summer storm, 25-year-old singer/guitarist Olivia Dvorak has been making waves on the country music scene with her diverse sound. 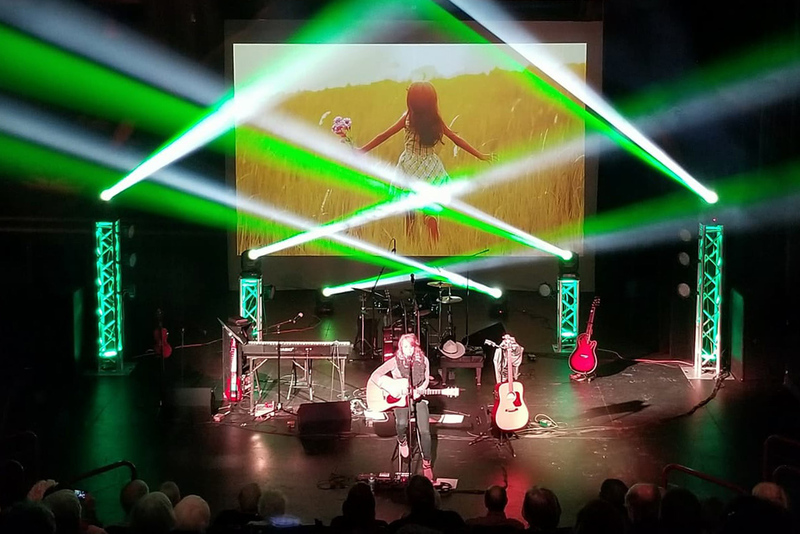 After opening for legends like Loretta Lynn and Trace Adkins, the versatile artist, who has been described as a “one woman band,” returned home to Rockford, Illinois in April for a sold-out performance at the city’s Nordlof Center. 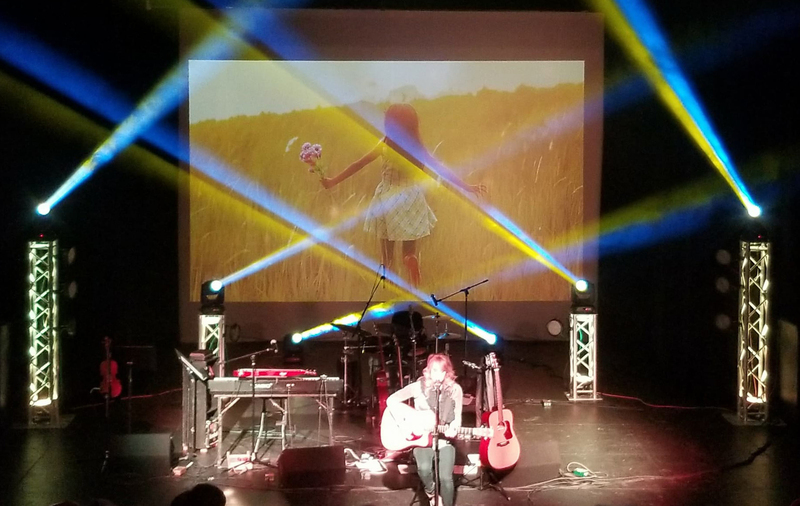 As comfortable with her looper pedal as she is playing her rhythm guitar, Dvorak took the hometown crowd on an exciting multi-faceted musical journey that wound its way through the heart of country with excursions to the edges of other genres. Keeping pace with her through every twist and turn was an appropriately versatile lightshow by Jeff Hinton that was anchored by six CHAUVET DJ Intimidator Hybrid 140SR fixtures. At other times, Hinton used the Intimidator Hybrid 140SR to pump up excitement with aerial effects and engage the crowd with audience lighting. He notes that the fixture’s dual gobo wheels created opportunities for him to engage the crowd with mid-air effects. Fans could “feel it,” said Hinton, when the lighting changed with the music…And the feeling on this rising star’s homecoming night in April was very, very good.